The league is set to begin on Feb. 4. The final 12 spots in the 2019 CWL Pro League were up for grabs in a five-day qualifier event this week. And after French team Overtime Esport became the last squad to qualify for the league, the two divisions were revealed. 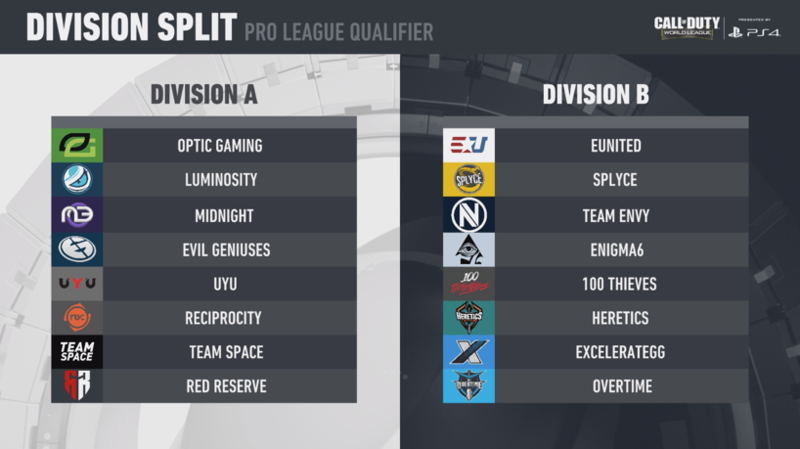 OpTic Gaming and Luminosity will headline Division A, which also includes Team Space, Red Reserve, and one of the biggest surprises from this week’s qualifier event, Midnight Esports. Splyce and eUnited are the top two teams in Division B, which will have defending world champions Team Envy and 100 Thieves. While CWL analyst Jonathan “Pacman” Tucker felt Divsion A will be a much tougher group to battle through, fellow analysts Anthony “Nameless” Wheeler and Jeremy “StuDyy” Astacio believes the divisions are actually fairly even. Unlike last year’s league, teams in different divisions will have the opportunity to play each other this year. This means 100 Thieves and OpTic Gaming may square off, which would pit former OpTic captain Matthew “Nadeshot” Haag’s newest team against his former squad. 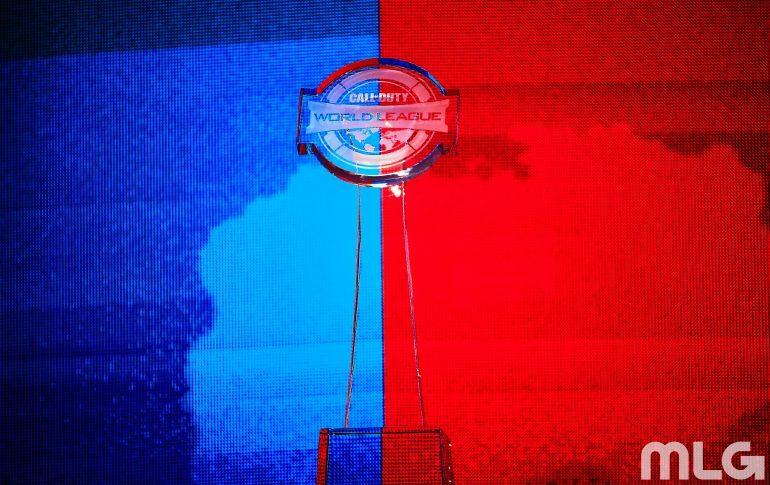 Teams will have a few weeks to prepare with online practice before traveling back to the MLG Arena in Columbus, Ohio, where they’ll kick off the CWL Pro League on Feb. 4.